Gamja-tang literally means ‘pork stew with potatoes’ but the stew takes its name from the pig’s spine which is the backbone of the stew. 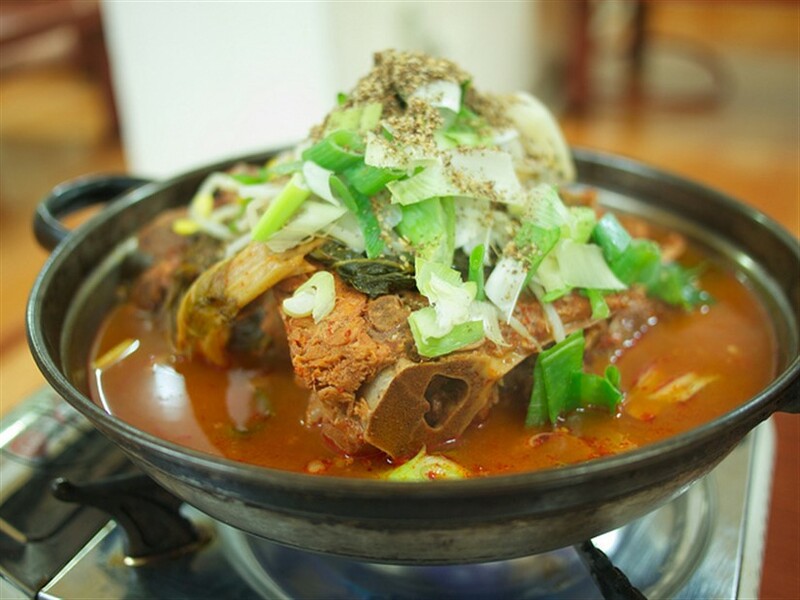 It is a traditional Korean stewmade with pork spine bones, soybean paste, hot pepper flakes and vegetables.Other parts of pork including the neck may also be used. 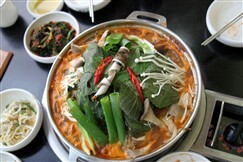 The vegetables used in seasoning the stew include cabbages, mushrooms,parsley, green onions and bean sprouts. It is usually seasoned with garlic, redchili peppers and roasted perilla seeds. Potatoes are also common additions tothe meal. The stew requires patience to make as the pork has to be boiled for up to twohours. The patience pays off as the result is a spicy and delicious stew whichcan be eaten at any time of the day and any season. Gamja-tang is a good curefor hangovers and it warms the body quick during winter. Spices like garlic,green onions and sesame seeds will reduce the smell of pork and give a fragrantand unique smell to the stew. Serve with rice, Kimchi and other side dishes of choice.